Consumption of wood products in the domestic market is expected to increase by more than 10 percent this year from last year’s figure of 1.3 billion USD, according to the Handicraft and Wood Industry Association of Ho Chi Minh City (Hawa). HAWA Standing Deputy Chairman Huynh Van Hanh said the recovery of the Vietnamese property market this year had increased demand for wooden furniture. To capitalise on opportunities, many HAWA members have carried out plans to expand their market share in the domestic market, including employing designers, developing product lines for the domestic market, and building a distribution system. 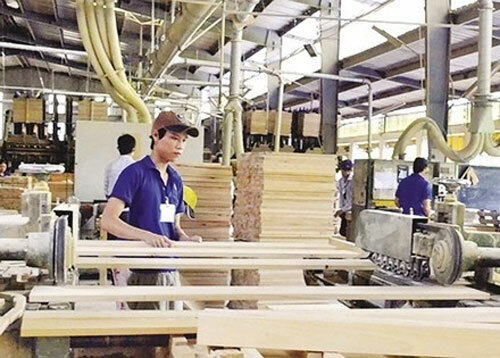 Since the ASEAN Economic Community took effect a year ago, wood products imported from the ASEAN region to Vietnam have not increased, he said, adding that this spurred enterprises to expand their market share in the domestic market. To promote locally-made wooden furniture, home decor and handicraft products in the domestic market, HAWA Corporation have organised the annual Vietnam Furniture and Furnishing Fair (VIFA Home) in HCM City for many years. This year VIFA Home 2016, to be held in District 11’s Phu Tho Sport Centre from November 24-27, will feature 477 booths set up by 109 local and foreign firms involved in wood processing, handicrafts, sanitation equipment and supporting services for the wood processing industry. The fair will offer opportunities for customers to shop for furniture, and interior and exterior furnishing items meeting export standards. It will offer designers, manufacturers and distributors a good chance to form co-operation to provide to the market with the best quality products at reasonable prices, Hanh said. HAWA Chairman Nguyen Quoc Khanh said Vietnam had been the largest producer and exporter of wood products in Southeast Asia for many years and the local industry is competitive in the region. 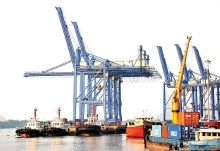 According to the Ministry of Industry and Trade, Vietnam earned over 5.7 billion USD from wood and wooden products exports in the first 10 months of the year, a year-on-year increase of 0.8 per cent, with the US the largest importer of Vietnamese wood products, followed by Japan. Revenue from wood and wood product exports is expected to reach 7.2 billion USD this year. Worldwide demand for furniture remains huge, while Vietnam’s export turnover accounts for a tiny proportion of the world’s total consumption, he said./.